As we enjoy the holiday seasons, remember to give back to those less fortunate in your community! We recently took a trip to a local soup kitchen and food pantry to capture kindness in action as volunteers served food to under-resourced people in their local community. 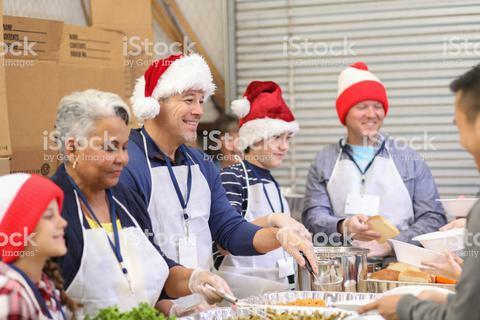 Shown above, volunteers serve hungry families at Christmas. A special thank you to all the volunteers who serve during the holiday season to provide needy people with hope and a helping hand. To view more of our soup kitchen and food pantry images, click the link below. To view or download the image above, simply give it a click.